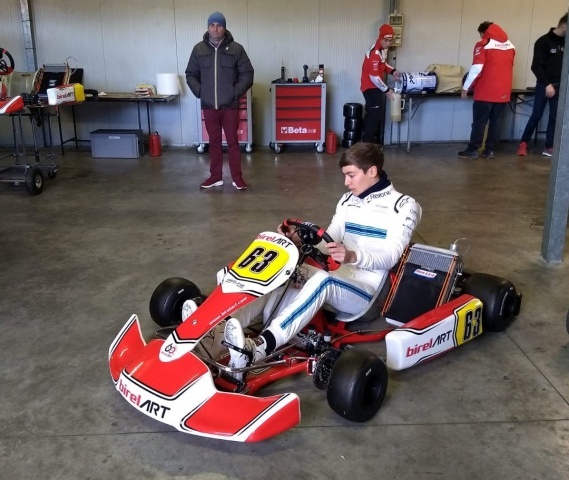 George Russell is testing with Birel ART in Lonato. The reigning 2018 Formula 2 champion George Russel is back on track in Lonato to better prepare his debut in Formula 1. In view of the upcoming debut in the top car category, the young Williams driver has chosen the colors of Birel ART to train for a day that feels like a return to the past. A karting past that was full of rewards for the British driver, seeing the trophies won. Stand outing among them are SKUSA SuperNats XV in Tag Junior 2011, the Winter Cup KF3 and the European CIK FIA Championship KF3 of 2012, which consecrated him among the big names of karting. For kart “insiders”, especially in the winter months, it is now customary to find drivers from the single-seaters returning to train with karting, given the physical and mental effort the latter requires.